Gaiman’s view that any book that is avidly embraced can serve as a gateway to an enduring love of reading is surely true: my own earliest literary love affair was with Enid Blyton, that mid-century spinner of mysteries and boarding-school stories, who is among the authors Gaiman lists as having been deemed bad for children. But the metaphor of the gateway should prompt caution, too, since one can go through a gate in two directions. What if the strenuous accessibility of “Percy Jackson’s Greek Gods” proves so alluring to young readers that it seduces them in the opposite direction from that which Gaiman’s words presuppose—away from an engagement with more immediately difficult incarnations of the classics, Greek and otherwise? What if instead of urging them on to more challenging adventures on other, potentially perilous literary shores, it makes young readers hungry only for more of the palatable same? There’s a myth that could serve as an illustration here. I’m sure my son can remind me which one.’ – Rebecca Mead. Read the rest here. We do wonder how many American Gods and Percy Jackson fans have actually read the classical myth-lit such books pay homage to. We also wonder where Percy Jackson got the idea to remain anonymous (cough, cough). 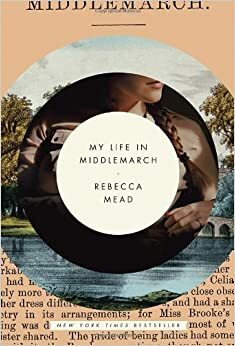 Rebecca Mead has a new book out we would really like to read.